Are you going to Hanoi, Vietnam to settle down? Are you worried about choosing which areas of Hanoi to reside? Do you want to find an area which is not only convenient to move around but also have great number of entertainment place along with healthy, perfect living environment in the busy capital city? Thus, Long Bien district, Hanoi will probably be the area satisfying all of your expectations. When talking about Long Bien district, mentioning the “golden land” accommodation of this region is compulsory. Long Bien is a district located in the Northeast of Hanoi and is only a dreamy river distance away from the center – it is the Red River. Long Bien district not only stretches along the north side of the Red River but also directly borders on the Duong river – a river symbolizes peace and prosperity of the Vietnamese nation with soft, sparkling, fanciful beauty like a maiden. In particular, with the advantage of gateway location of Hanoi capital, associating with the economic triangle Hanoi – Hai Phong – Quang Ninh, as well as being a vibrant economic hub, integrating into the regional and the world’s economy have brought favorable fundamentals for Long Bien district to rapidly strongly and sustainably develop economy and society. With this extraordinary location, Long Bien district residents not only easily travel to the central area of Hanoi as well as the surrounding areas like Noi Bai, Dong Anh but also favourably travel to such further provinces as Bac Ninh, Hung Yen, Hai Phong via modern highways. Long Bien district has an area of 6038.24 ha accounting for 60.38 km2 area of Hanoi capital with a population of 271,000 people (2013 statistics). The district includes 14 sub-districts which are Bo De, Cu Khoi, Duc Giang, Gia Thuy, Giang Bien, Long Bien, Ngoc Lam, Ngoc Thuy, Phuc Dong, Phuc Loi, Sai Dong, Thach Ban, Thuong Thanh, Viet Hung. With wide area and modest population, Long Bien district has more peaceful and healthier living environment than the others. Long Bien is a district associated with great achievement and history of against the colonial invasion of Vietnamese people. Under the Ly dynasty, Long Bien district is of Thien Duc palace; under the Tran, Le dynasty this region was of Lo Bac Giang; the later Le dynasty it was of Thuan An palace; under Nguyen Dynasty it was of Bac Giang town and then was of Bac Ninh province. In 1946, to prepare for the war of resistance against French colonial invasion, Ngoc Thuy was established and added to Hung Yen province, until the end of 1949, Ngoc Thuy and Gia Lam district are added back to Bac Ninh province. When taking over the capital in October 1954, the Government of the Democratic Republic of Vietnam established 8 districts of Hanoi. On November 6th 2003, Long Bien district was officially established and became one of the districts of Hanoi. 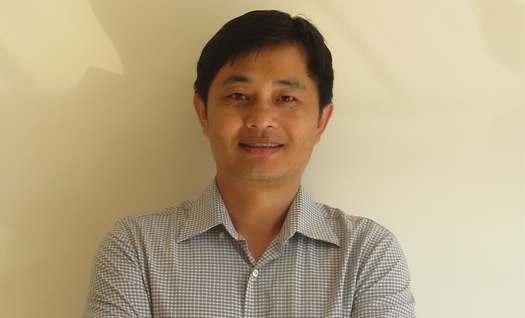 Long Bien had Red River as a natural boundary helping demarcate with Hoan Kiem, Thanh Tri, Ho Tay, Hai Ba Trung district. Along with that, Duong river also delimited with Gia Lam, Dong Anh district. Just over 10 years since the official separation till now, in Long Bien district has formed a lot of urban areas such as Viet Hung urban area, Bo De urban area, Ngoc Thuy urban area, Sai Dong urban area, Thach Ban urban areas... along with the ecological urban areas like Vinhomes Riverside. II. WHERE TO STAY IN LONG BIEN? Mipec Riverside is a complex of commercial center and modern luxurious apartments which is located at No.2 Long Bien Street, Long Bien District. 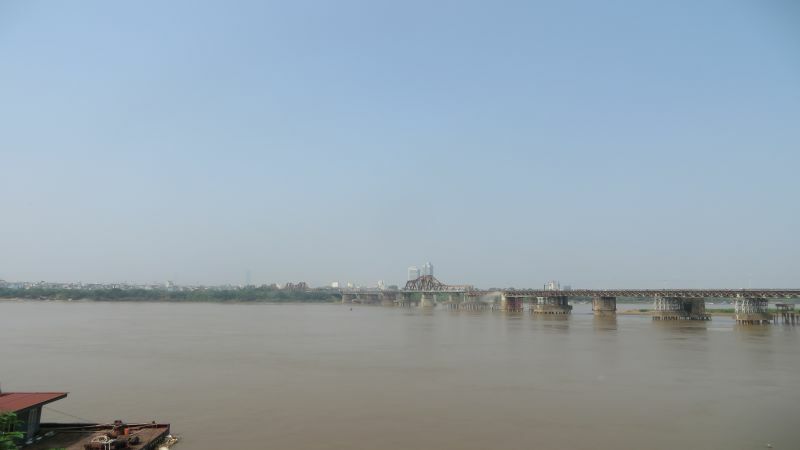 One of Mipec Riverside’s advantages is that it has a dreamy vision to the Red River, Long Bien Bridge, Chuong Duong Bridge… Therefore, this project has not only a vast range of views but also fresh and cool air. Mipec Riverside project is invested by Military Petro Chemical Joint Stock Company with total area of 16.690 m2 including 2 buildings of 35-storey and 3 basements. In particular, from the 1st to the 6th floor is for commercial center, and from the 7th floor is for Mipec Riverside apartments. Especially, to meet the housing needs of residents, tourists and foreigners living and working in Hanoi, the project investor also offers apartments for rent at Mipec Riverside. --> find apartment for rent in Mipec Riverside in Long Bien with Red river view . >>> Click if you are looking villa for rent in Vinhomes Riverside with garden, pool, golf and tennis services available. Viet Hung is considered as a model of urban area, owning several infrastructure, social works items and urban infrastructure which has high quality, synchronicity and provides the residents perfect lives. Moreover, there are many such urban area, rental housing projects as Sai Dong urban area, Hanoi Garden City, Ecocity Long Bien… are starting to build to satisfy the demand for renting and purchasing houses of residents and foreign tourists. Since 2010, Long Bien district has strongly improved the technical infrastructure as well as the community facilities and services. Much civil works, apartment complexes, offices, high-quality resettlement were built and came into operation to offer the residents sufficient lives. You will not need to hustle into the overcrowded center of Hanoi to participate in such activites as procurement, entertainment, sightseeing or enjoying food… All of these utilities will be “packaged” in the residential and rental real estate projects in Long Bien district. Particularly, Long Bien district also has many green parks, outdoor entertainment areas integrated in the living space of the housing, rental housing projects or public works and utilities… that provide the residents the healthiest and most serene living environment. 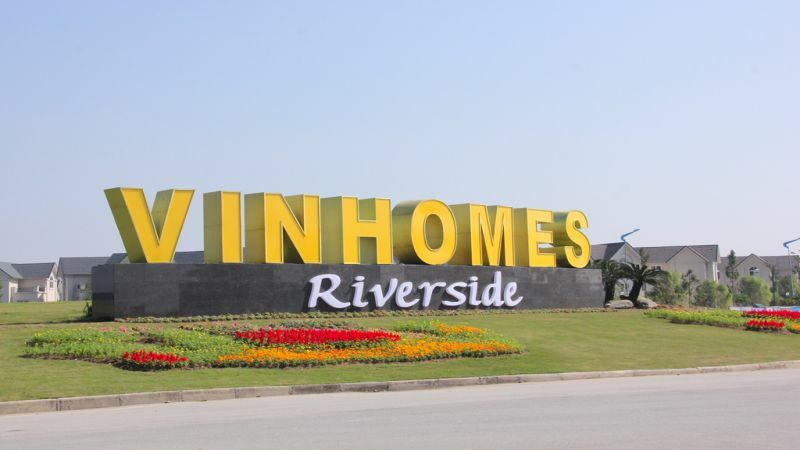 Besides, the real estate products in Long Bien district, for example: Vinhomes Riverside Villas, Mipec Riverside apartments… are invested in such synchronous utilities as commercial centers, schools, restaurants, spa… to offer customers the most comfortable and sufficient lives. 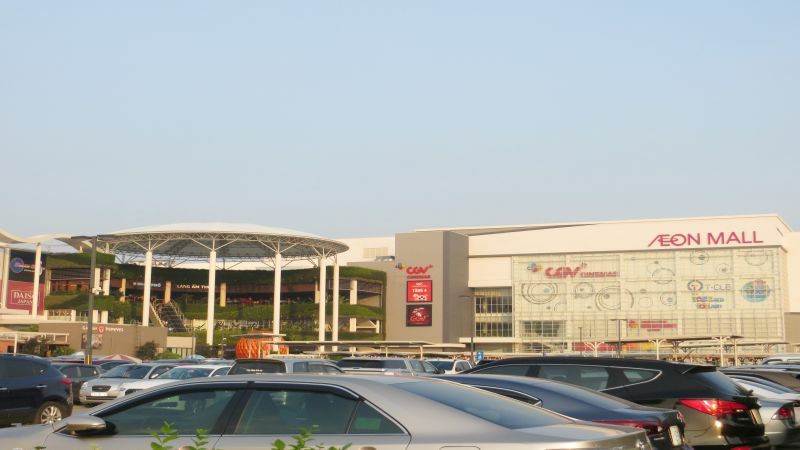 Located in the central area of Vinhomes Riverside – top-class Ecological Urban Area of Vietnam, with the luxury, romantic riverside villas and many civil, modern functional areas – Vincom Long Bien was recognized as the new shopping paradise of Hanoi. 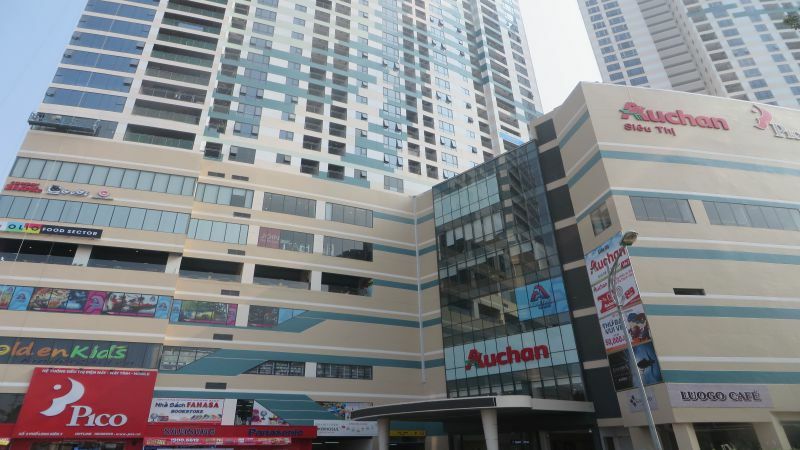 Besides, high-quality furniture, electronics & consumer, diversified entertainment service systems with World Games, Platinum Cineplex cinema or varied dining area with nearly 20 booths such as KFC, Jolibee, Highlands Coffee, Al Fresco’s… in the 1st and 4th floor also contributes to ensuring the needs of customers. This is one of new places attracting a lot of customers who want to discover Vietnamese special food culture. Along with that, you also have the opportunity to explore and experience the traditional culture of Hanoian and the unique traditions of the Red River delta. Nang Song Hong and places for enjoying the culture contained in the peaceful and relaxing space along with landscape of immense, dreamy Red River creates a perfect space that nowhere has. Long Bien Bridge was the first steel bridge of Vietnam considered as a historical witness. It was built across the Red River by a French at the period of 1898 – 1902 connecting Long Bien district with Hoan Kiem district. Coming to Long Bien Bridge, you can not only admire a special building construction but also enjoy an impressive landscape of old Hanoi. With all of the advantages mentioned above, Long Bien district is an ideal choice for those wishing to live and work in Hanoi and enjoying the cool, peaceful and pure living environment.